The M. BUTTERFLY National Tour 2019 will spread its wings for their final performances in SM SEASIDE CEBU from March 14 - 17. Presented by Tony and Grammy award winning producer Jhett Tolentino and FRONTROW Entertainment (producer of highly-acclaimed independent films BhoyIntsik and Bwaya), the M. BUTTERFLY National Tour 2019 was decided upon by the producers to bring this world-class masterpiece to those who did not have the opportunity to catch its 2018 Manila run. After all, location should not limit one’s exposure to the arts and culture. 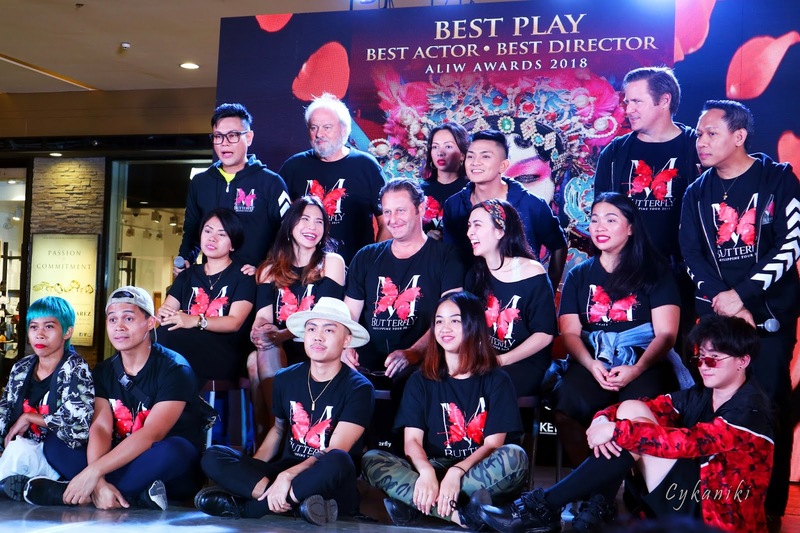 This revival production of David Henry Hwang’s M. BUTTERFLY is the winner of the 2018 ALIW AWARDS for Best Play, Best Actor and Best Director and nominations for The Best Featured Actress in a Play. René Gallimard is a member of the French embassy in China. René is mild mannered and considers himself to be poor with women. He meets and falls in love with Chinese opera star Song Liling, a woman whom he considers to be the embodiment of the perfect woman, Madame Butterfly. But when West meets East, everything is not what it seems…. RS FRANCISCO, the 2018 Aliw Award Best Actor for M. Butterfly shall reprise his iconic portrayal of Song Liling, the Chinese opera singer who is Gallimard’s object of affection and seduces him through his biases of the East then exploits their intimacy to collect classified information for agents of the Chinese Communist Party. In the many years thereafter, RS Francisco’s theater credits in numerous productions and variety of roles continued to hone his craft as a compleat artist. In films, his most awards include the SINAG MAYNILA Best Actor, the STAR AWARDS Movie Actor of the Year and the SUBIC BAY INTERNATIONAL FILM FESTIVAL Best Actor. To add a diverse twist to the M. Butterfly National Tour 2019, young actor AIRA IGARTA will step into the role of Song Lilingas alternate in certain performances. As an original member of the Kurogo ensemble of the play’s 2018 Manila run, Aira is a stage and film actor from the Theatre Arts Program of UP Diliman where he took part in several Dulaang UP and DulaangLabortoryo productions. Trained by the likes of Tony Fabella and Luther Perez, Aira was originally a dance and voice scholar at Quezon City Performing Arts Foundation (QCPADFI). Trilingual American actor LEE O’BRIAN will once more personify Marc, the sexually unapologetic best friend of Gallimard. He encourages Gallimard to take sexual advantage of the women around him without regard for their feelings or even their consent. Although M. Butterfly was Lee’s first theatrical endeavor, his acting skills have already been tried and tested in international films “Edsa Woolworth” and “Forgive Me Father”. O’Brian also portrays Sharpless in M. Butterfly for a brief while. The artistic team of M. Butterfly are as follows: Jhett Tolentino and RS Francisco (Producers), Ohm David (Set), Eric Pineda (Costume), John Batalla (Lighting), Jethro Joaquin (Sound),Joed Balsamo (Music) and Carissa Adea (Choreography). 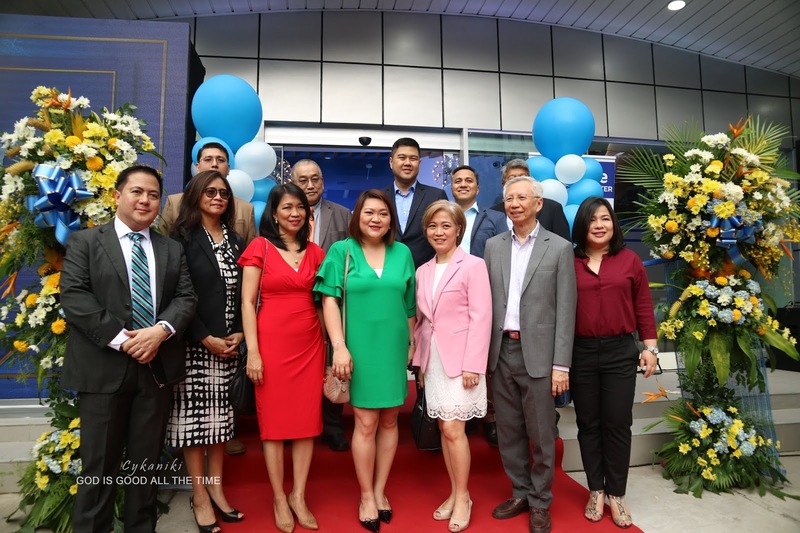 Maxicare Healthcare Corporation, the country’s leading healthcare provider, extends their world-class services to its Cebuano members with the launch of its new Primary Care Center (PCC) and second HealthHub in Cebu. “Access to quality healthcare is – and will always be – our priority in Maxicare. 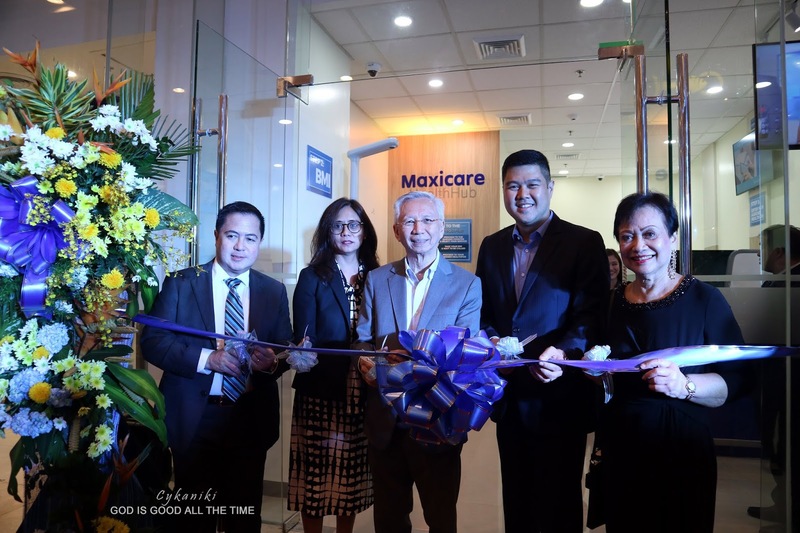 With the launch of our newest HealthHub and Primary Care Center, we can now give our Cebuano members convenient access to top-notch healthcare service that Maxicare is known from all over Metro Manila and Luzon,” said Maxicare president & CEO Christian Argos. The new Maxicare HealthHub in Cebu is a one-stop Maxicare facility that utilizes cutting-edge technology to streamline the process of going for a medical consultation. The new hub features a new-generation of self-service utilizing an HMO-owned healthcare system that offers a relaxing and convenient way for members to access their benefits. A first-of-its-kind in the country, this automated health pod offers members a convenient and timesaving way of getting their LOA (letter of authorization), and has a fully digitized system to manage patient queuing and make the gathering of initial vital signs quick, accurate and hassle-free. Meanwhile, Cebuanos can get the most relaxing healthcare experience at the new PCC as it is staffed with Customer Service Associates and Primary Care Physicians who specialize in Internal Medicine, Pediatrics, Cardiology, OB Gynecology, OB Sonography, ENT, Dermatology, Ophthalmology and Psychiatry. The Maxicare PCC in Cebu promises to give outstanding services through its state of the art medical facility and roster of highly qualified physicians. 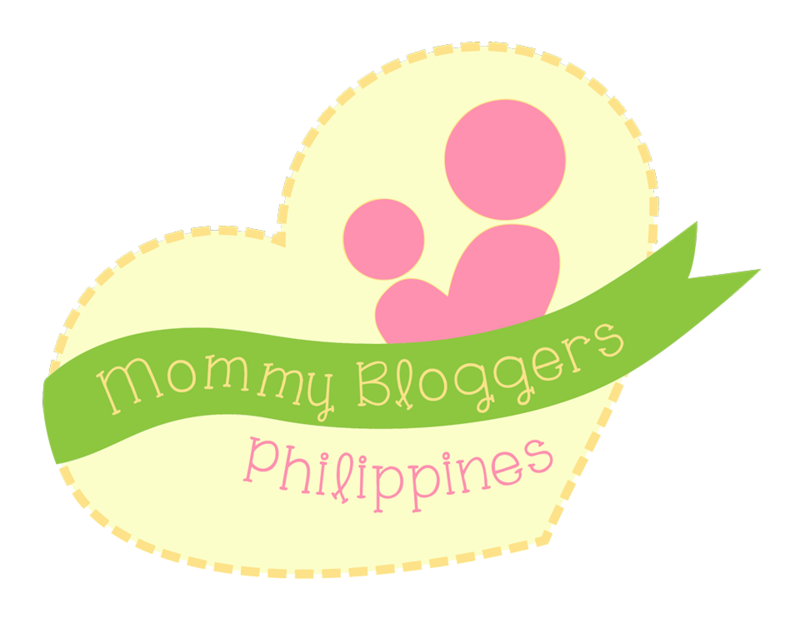 Members can avail of services such as consultation, laboratory test, X-ray, ECG, and Ultrasound, among many others. The newest Maxicare Primary Care Center is located at Lot 5, Block 6, Mindanao Avenue Corner Siquijor Road, Cebu Business Park. While the Maxicare HealthHub is located at Ground Floor, Robinsons Galleria Cebu, General Maxilom Avenue Corner Sergio Osmeña Boulevard, Cebu City. I'll be uploading the video regarding this event and let you see for yourself how awesome this place is and hear from their CEO directly the reason behind this project, so stay tuned on www.youtube.com/cykaniki don't forget to subscribe and click the notification bell to be updated on my latest vlogs. Thank you for dropping by. True to its promise, the Vistana - Pearl Residences has finally opened its doors at the heart of Sikatuna Street in Cebu City. 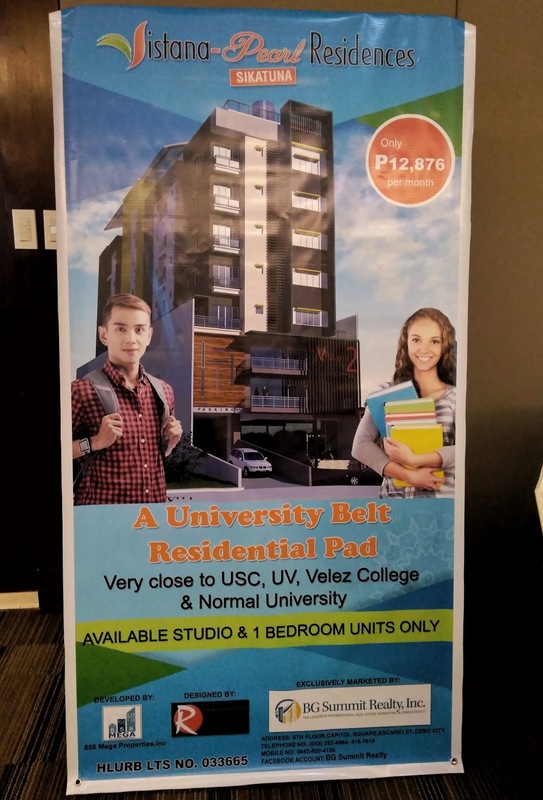 This mid-rise 10-storey commercial and residential building is perfectly situated just beside Zapatera Elementary School and a short distance from major Cebu universities: University of San Carlos, University of the Visayas and Velez College. In the usual scene, a family with schoolchildren will need at least three hours a day for preparation at home and travel to work - that is just on top of another two hours in going back to the house at the end of the day. That’s an average of five wasted hours. Imagine the five hours you will save if your house is just across your children’s school? You will only need to wake up a few minutes before school starts because the school is just near. This saves you and the kids hours, which you will then use for cooking meals for the kids or watching a television show with them after dinner. If you want a quick night swim, Vistana - Pearl Residences has a swimming pool for that kind of whim. There is also a playground if your children feel like running around; or a fitness gym if everyone decides to do yoga or zumba before dinner. Vistana - Pearl Residences is not just a residential building, it is your home. The developer also makes sure that the place will not become crowded so everyone will get to enjoy quality time together. By 2021, Vistana will have the complete 65 studio units and five 1-bedroom units, of which prices range from P2.3M to P4.2M. Vistana - Pearl Residences chose to build its latest project at the heart of Cebu City to help the Cebuano families attain a quality of life. Once you’re in Vistana, there will be no more late meetings or running to and from school like a pendulum. Visit Vistana - Pearl Residences in Sikatuna and see the kind of life you will give to yourself and your family. Thankyou so much for dropping by, of course I have a video for you which will be uploaded by 3pm today, please check my thorough video for this event on www.youtube.com/cykaniki spread this news and don't forget to subscribe, like and share. Oh pleas don't forget to click the notification bell to stay updated. Have a nice day! Godbless you. Hello my loves, I'm wondering what are you up to? It's been a while since the last time I've said these words. Today I'll e sharing to you the latest video that I've made. The Bratz Doll Makeup, this doll face challenge has been circulating the internet for a while now and I've decided to join, anyway, this is just a testing of myself if I can do it or not. Honestly, it was a big struggle for me since I don't have enough material but it's better now than never right? 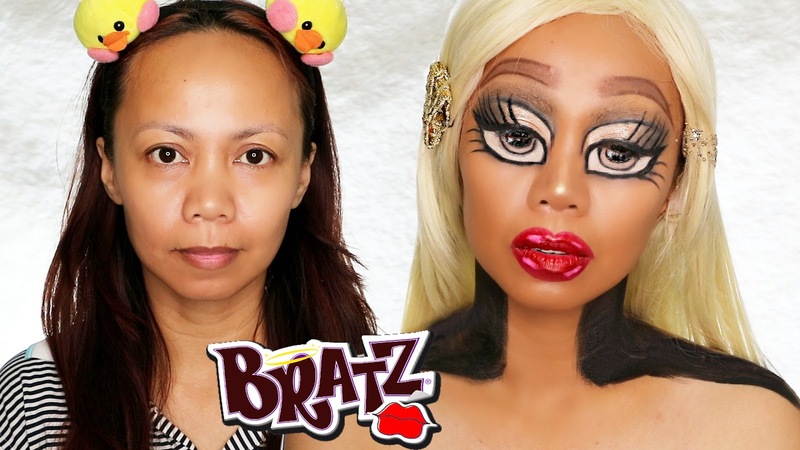 so I give it a go of this so-called Bratz Doll Challenge. This started out with Dope211 a youtuber as well and a lot of youtubers from the beauty category made their own version. Okay so for mine I started out blocking my brows with a glue stick, followed by a foundation super dark from my skin tone, I decided to have it that way because to appear a bit tan so that the colors that I will be putting on will not really peak through. I decided to play with brown and black to be safe, hahaha!!!! I can't do the fancy ones because first I don't have a costume on hand, don't have the accessories either and most of all the struggle is real, so the simple Bratz doll I can make is the one in this picture. Since I don't have the costume, I decided to create an illusion of a small neck and just used black face paint. I'm just so happy though because the outcome is not that bad LOL!! Thankyou so much for dropping by I hope you find it interesting and fun before you leave please give some love to my work by leaving any comment, like share and if you do not yet subscribe please subscribe. I will be making more videos and it would be fun so stay updated by clicking the notification bell. Thank you for your support. I really appreciate it. A Brand-New year evokes a time for new inspirations. Thus, for top-of -mind and affordable real estate developer AMAIA Land, 2019 is an auspicious year for offering Amaia Steps Mandaue Tower 2 to families and individuals seeking high-quality and affordable housing options. Located in Mandaue, one of Cebu province's highly urbanized cities, Amaia Steps Mandaue Tower 2 is set to provide prospective residents convenient access to Cebu's famed cultural and heritage sites. Its proximity to the Mactan International Airport and to schools, shopping, dining and entertainment sites such as Pacific Mall, Gaisano Grand Mall, S&R and Ayala Center Cebu likewise gives it added value and prestige. Amaia Steps Mandaue will offer 288 units with a total value of P1.13 billion with various unit sizes that can cater to needs of its prospects homeowners. For aspiring homeowners in Cebuu, Amia Steps Mandaue Tower 2 signifies new beginnings and a chance to settle down in our very spacious, well-designed units at very affordable prices, " Grace Guinto Amaia Land Says. " Residents will also relish spending fun weekends at the property's swimming pool, which is expected to be completed this quarter, while they can look forward to bonding with family and friends at the courtyard. Amaia Land brings the dream of owing an affordable and sustainable homes closer to hardworking Filipinos through easy payment options cash, deferred cash, and bank financing. Amaia continues to serve homeowners with affordable and sustainable developments that aim to elevate the Filipino living experience in a well-secured environment. Thankyou so much for being here, don't forget to subscribe on my youtube channel for more videos click as well the notification bell. Thankyou. Promil Four i-Shine talent camp 7 is now accepting reservations for talented kids’ ages six to eleven years old in Queen City of the South, Cebu! Offering a series of classes in arts, music and dance, the talent camp brings together notable experts to provide kids with fun and engaging learning experiences. Leading the art camp are Robert Alejandro of Papelmelroti and Kara Escay, while the music camp will be spearheaded by the Music School of Ryan Cayabyab. Celebrity choreographer teacher Georcelle of G-Force Dance Center will mentor the kids in the Dance Camp. Art camp will be held on April 8 – 12 at the Jumping Clay, Gov. M. Cuenco Ave., Banilad, Cebu City. Music camp will be held on April 22 – 26 at the Brown Academy of Music, Gov. M. Cuenco Ave., Banilad, Cebu City; and Dance Camp will be held on April 29 – May 4 at the G-Force Dance Center, Cebu City. PROMIL FOUR is a powdered Milk Drink for children over 3 years old. With its right level of essential and important nutrients, it can help support your child’s proper growth and mental development to #NurtureTheGift together with a balanced diet and healthy lifestyle.